Now that the dust is slowly settling over the debates on the Budget 2018-19, it’s time to get to the basics. For the exporters, the delay in refunds of Input Tax Credit and the IGST is now reaching alarming proportions. The delay has hit the MSMEs the most as it has starved them of working capital. After a spate of trade credit scandals, Bank credit is paralyzed. Not only about the current loss of business, but MSMEs are worried about loss of reputation also. Another huge irritant is about on going suspense on Credit Linked Capital Subsidy (CLCS) Scheme as to whether the scheme stands scrapped or is to be continued. As pending claims mount, Banks are not accepting new application under the scheme. It is the only scheme which supports MSMEs for technical upgradation by allowing them access to loans san interest cost. There is no traction again on bringing down cost of social security for employing workers. Organizations such as FISME have been demanding to cap it 10% for MSMEs. It is sad that during the recently held meeting of the National MSME Board none of these issues found the recognition they deserved. That would prove costly. " 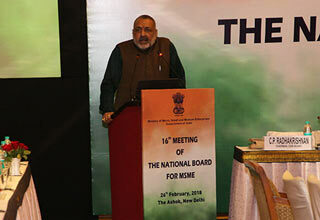 The 16th Meeting of National MSME Bard was held in New Delhi on 26th Feb 2016. 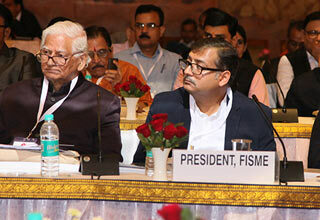 While the sector by and large seemed upbeat after Budget pronouncements concerning MSME sector, FISME raised a few important issues during the meet. Mr. Pankaj Bansal, Treasurer, FISME highlighted the urgency of bringing down the cost of social security- which is greater than 25~3% of wages to not more than 10%. He also demanded that the suspense on Credit Linked Capital Subsidy Scheme (CLCSS) should end and Government should categorically spell out about the fate of the highly popular CLCSS scheme used for technological upgradation by MSMEs. Jeff Bezos is worth billions of dollars, yet he has the same 24 hours available to him every single day that we all have. Ironically, time is essentially the only thing Amazon doesn't sell -- for now, at least. So, how does Bezos or any successful entrepreneur accomplish more than the average person? Many entrepreneurs make mistakes in the beginning, don't have laser-sharp focus and simply get beaten by their competition. It happens, and honestly, you should be prepared to take a few losses before you taste victory. The Indian economy is starting to recover from the negative impact of demonetisation and disruption caused by the roll out of Goods & Services Tax (GST), Moody’s Investors Service has said in its global growth forecast for 2018 and 2019. The international rating agency, however, kept the growth forecast for India in the calendar year 2018 unchanged at 7.6% and at 7.5% for 2019 The international rating agency, however, kept the growth forecast for India in the calendar year 2018 unchanged at 7.6% and at 7.5% for 2019. In its forecast, Moody’s noted that the Budget for fiscal year beginning April 1 (2018-19) includes some measures to stabilise the rural economy hit by the scrapping of high denomination Rs 500 and Rs 1,000 notes in 2016. India's economic recovery is expected to have gathered momentum and GDP growth is likely to grow at its fastest pace at 7 per cent in the December quarter as consumers, businesses and the government stepped up spending, say two reports from Morgan Stanley and Reuters poll. The reports suggest that disruptions from a shock ban on high-value currency notes in November 2016 and the chaotic launch of a goods and services tax (GST) in July are fading. 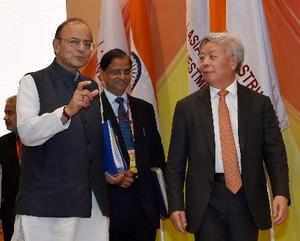 Asian Infrastructure Investment Bank is likely to invest around USD 200 million in India's first sovereign wealth fund NIIF, AIIB president Jin Liqun said here today. Beijing-based AIIB, which started functioning in 2016, has committed over USD 1 billion in five infrastructure projects in India and proposes to take up 12 more, envisaging assistance of USD 3.5 billion. Talking to PTI, Jin said the bank will focus on funding infrastructure projects in road, energy and transport sectors. Three major public sector units, including Karnataka Neeravari Nigam Limited, incurred loss of Rs 981 crore to the state exchequer during 2016-17, according to a Comptroller and Auditor General report. The report, which was made public today, said the working state PSUs earned a profit of Rs 1,420.49 crore in the aggregate and incurred a loss of Rs 1,265.37 crore as per their latest finalised accounts at the end of September 2017.The report, which was made public today, said the working state PSUs earned a profit of Rs 1,420.49 crore in the aggregate and incurred a loss of Rs 1,265.37 crore as per their latest finalised accounts at the end of September 2017. 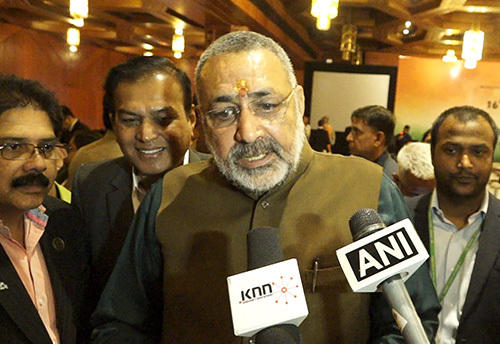 Prime Minister Narendra Modi has introduced various schemes to make stress free eco-system for MSMEs be it extension of NPA date, allocation of funds in guarantee scheme or procurement measures, said Minister of State (I/C) Giriraj Singh in an interview to KNN. The National Board for Micro Small and Medium Enterprises (NBMSME) held its 16th meeting today to discuss on important policies and issues concerning the sector. 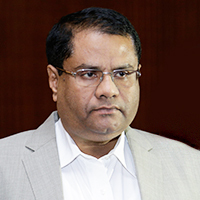 The meeting was being chaired by the MSME Minister. The setting up of National Technology Centre for Ports, Waterways and Coasts (NTCPWC), foundation stone of which was laid today, would give a boost to the development of indigenous technology relevant to the port and maritime sector in India. 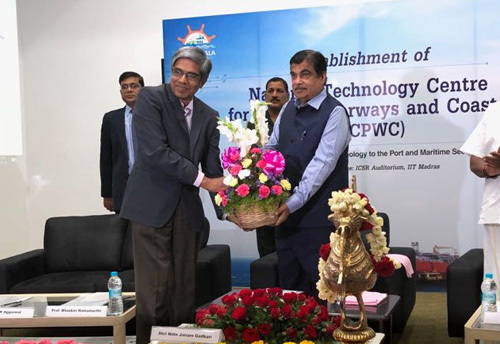 Nitin Gadkari, Minister for Road Transport & Highways, Shipping and Water Resources, River Development & Ganga Rejuvenation laid the foundation stone for setting up of NTCPWC, at IIT Chennai today. 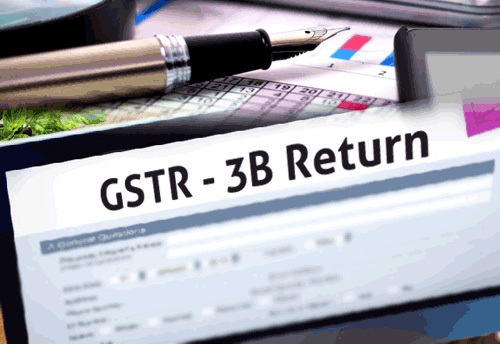 Simplifying the version of GSTR-3B, the Goods & Services Tax Network (GSTN) has made certain changes in the process of filing the GSTR 3B and henceforth making it more user friendly. The simplified version can likely be used even beyond March 31. According to a note prepared by PwC, GSTN has made changes in sections like challan generation, download facility of draft return, auto-fil of tax amount etc. According to PwC, the key changes are: -- Tax payment section, earlier, a taxpayer was required to Submit the return to ascertain the tax liability amount. Post submission, no changes were allowed. Now, the tax liability to be paid in cash/ credit will be shown before submitting the return. 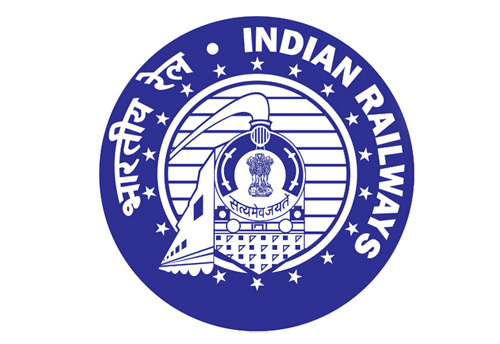 In a bid to reassure that the government is committed towards facilitating public procurement benefits to the Micro, Small and Medium Enterprises (MSMEs), the Railway Ministry during ‘Suppliers Samvad’ said that it will continue to focus on increasing participation of MSMEs. “Indian Railways’ efforts are not limited to just digitizing its Supply Chain, but has taken various initiatives for development of indigenous vendors and the MSME sector. It will keep focusing towards increasing participation of indigenous suppliers especially MSMEs. It is very prompt in implementing any policy that envisions benefits to vendors”, the Ministry said in a release. Bihar clocked a growth rate of 10.3 per cent in 2016-2017 as against 7.5 per cent in the corresponding fiscal a year ago, riding largely on the back of the services sector, according to the latest Economic Survey tabled in the state Assembly today. 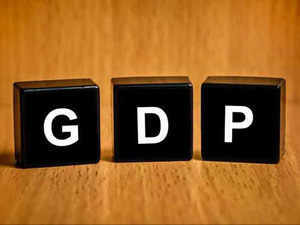 Bihar's growth rate is higher than that of the national average of 7.0 per cent, the 12th Economic Survey of Bihar said. 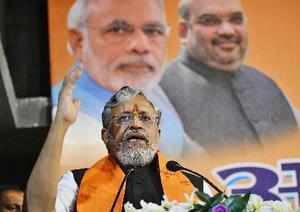 The state has consistently been revenue surplus, which increased from Rs 5,101 crore in 2012-13 to Rs 10,819 crore in 2016-17, Bihar Deputy CM Sushil Kumar Modi told reporters after tabling the survey on the first day of the Budget Session. In a bid to boost startups and Small and Medium Enterprises (SMEs), Uttar Pradesh government has taken another major move by signing a Memorandum of Understanding (MoU) in conjunction with National Stock Exchange (NSE). 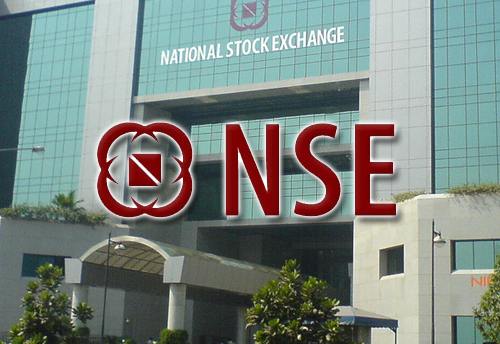 The purpose of signing MoU with NSE is to foster UP startups and Small and Medium Enterprises and to make them aware about the opportunities to access capital, SME exchange guidelines, listing processes, compliances with listing agreement and regulatory mechanism by listing them on NSE SME platform called “NSE Emerge”. 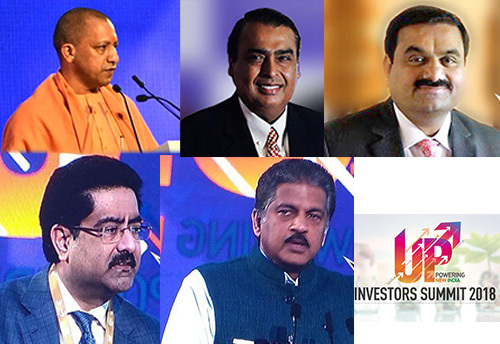 On day one of the Uttar Pradesh Investors’ Summit, MoUs worth Rs 4.28 lakh crore have already been signed, Chief Minister Yogi Adityanath has said. He said it is a matter of pride for the state that fortune-500 companies are participating in this summit. “I want to tell you all that till now we have signed 1,045 MoUs worth Rs 4.28 lakh crore," Adityanath said. He assured to oversee that the MoUs signed are executed, and those who are coming to invest in the state get all the facilities. 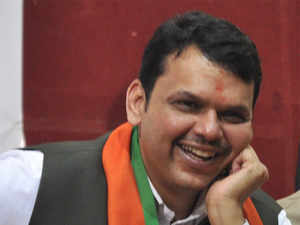 Maharashtra chief minister Devendra Fadnavis said the state has signed as many as 4,106 investment proposals worth Rs 12.10 trillion in the three-day global investor summit that concluded here today. Besides, the state has also signed 104 proposals with the Centre worth Rs 3.90 trillion for investments in various infrastructure projects, he said. Among the key sectors, close to 3,516 proposals worth Rs 5.48 trillion were signed for industry projects, with big names such as Reliance Industries, Virgin Group and JSW Electrical Vehicles, among others showing interest. 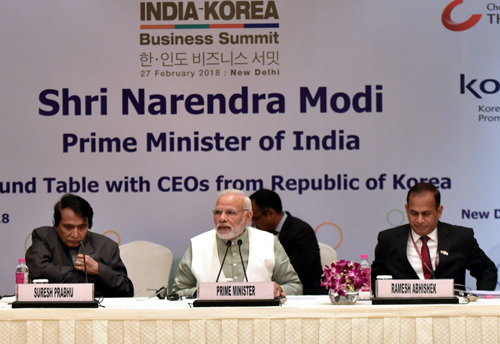 Eyeing at attracting investments, Prime Minister Narendra Modi in his speech at India Korea Business Summit 2018 said that the country is ready for business and is now transformed as a free destination for enterprise. PM Modi made these remarks at the Second India-Korea Business Summit organized by the Department of Industrial Policy and Promotion (DIPP), Ministry of Commerce & Industry, in partnership with ChosunILbo, KOTRA, Confederation of Indian Industry (CII) and Invest India in the national capital. Trade between India and Canada is expected to double to USD 10 billion in the next three years, PHD Chamber of Commerce and Industry said today. The statement comes in the backdrop of Canadian Prime Minister Justin Trudeau's ongoing visit to India. India's bilateral trade with Canada grew from USD 1.09 billion in 2001 to USD 5.62 billion in 2016, PHD Chamber President Anil Khaitan said. India's imports from Canada stood at USD 3.65 billion in 2016 whereas India's exports to Canada stood at USD 1.97 billion in 2016, he added.India can enhance its export trajectory to Canada by increasing its exports basket to products like pharmaceutical products, furniture, natural pearls and semi precious stones, plastic articles, among others, said Khaitan. 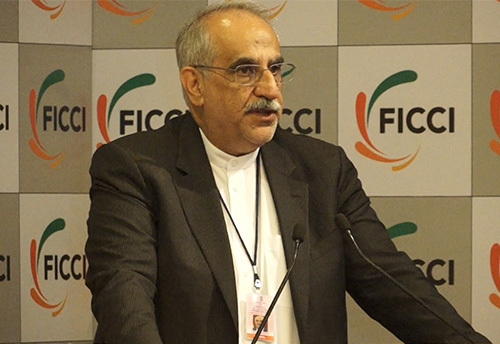 In a bid to boost ties between the two countries, Federation of Indian Chambers of Commerce and Industry of India (FICCI) and the visiting delegation from Iran held an interaction in New Delhi. During the interaction, Dr. Masoud Karbasian, Minister of Economic Affairs and Finance of the Islamic Republic of Iran, said here today that enforcement of the double taxation avoidance agreement and extension of preferential tariff would give a fillip to trade and investment between Iran and India. The Iranian Minister said his country has always been a reliable and safe provider of petroleum and natural gas to Indian oil companies and expressed confidence that the Trilateral Transit and Transport Agreement between Iran, India and Afghanistan will give a fillip to Iran-India trade and investment. Union Budget has reduced the corporate tax rate 25% for companies with an annual turnover of up to Rs 250 crore. 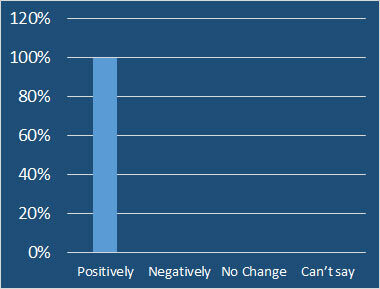 How will it affect Indian MSMEs? 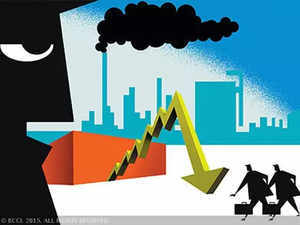 As Union Budget has reduced the corporate tax rate 25% for companies with an annual turnover of up to Rs 250 crore. According to the FISME Factor, 100 per cent of Micro, Small & Medium Enterprises think that it will affect Indian MSMEs positively. 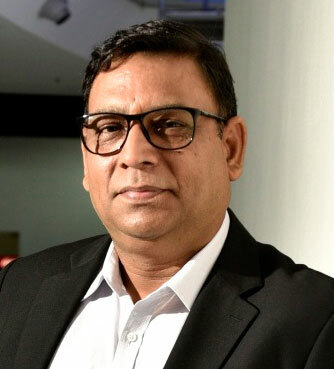 Happy Loans, a digital micro-lending venture has disbursed more than 7200 loans worth of Rs 20 crore to MSMEs and the company has also spread its wings to geographical boundaries to provide micro lending solutions to 26 states across the country. Running a business-to-business (B2B) operation is naturally different than selling directly to consumers. Many of the lessons learned in the consumer market simply don't apply, but B2B entrepreneurs may not know exactly how to tailor their sales approach to a business customer. Here are some tips to help your B2B company thrive, including some common mistakes to avoid. 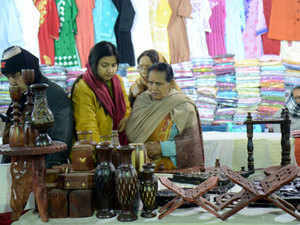 Problems related to refund of goods and services tax (GST) and slow demand in global markets would impact exports of handicrafts and may lead to decline in shipments by about 3.5 per cent in the current fiscal, EPCH said. Steradian’s proprietary technology is transforming the radar from a simple obstacle detection to an all-weather 4D mapping device. It has developed world’s most compact 28nm milli-metre wave imaging radar chip to maximise the pixel per sqmm. Their solution enables a very large number of antenna sensors which brings 4D imaging through radar to reality. Gaurav's fascination for watches began at a very young age. The first watch he owned was an HMT, a gift from his father at the age of 12. The childlike enchantment with the watch made him open up the machinery and reassemble it, which soon turned into a hobby. He started doing this with all his watches. The Central Statistics Office (CSO), Ministry of Statistics and Programme Implementation has released the Second Advance estimates of national income at constant (2011-12) and current prices for the financial year 2017-18.